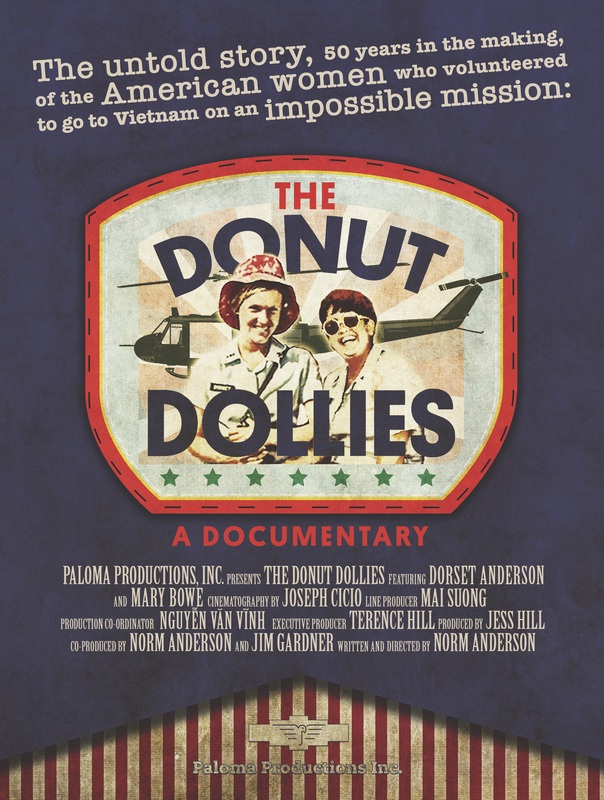 We have exciting news… the Donut Dollies Documentary has been invited to screen at the Ashfield Film Festival (www.ashfieldfilmfest.org) this Friday, September 14th at 7PM! This is particularly special for the crew because the festival takes place in Western Massachusetts, where most of us grew up, and where Donut Dollie Dorset lives. We’re happy to be sharing our film with a hometown crowd of family, friends and supporters. If you are in the area we hope you’ll join us. We’ve started applying to film festivals around the country and look forward to being accepted into a film festival near you. All things Donut Dollies Documentary will be ramping up in the coming months, so please make sure you like/follow our Facebook page to be alerted to when the next screening will take place and go to donutdollies.com to join our mailing list for more updates. Also, we ask that you share our Facebook page and donutdollies.com info with family, friends and veterans. Thank you again. We wouldn’t have gotten this far without your support. 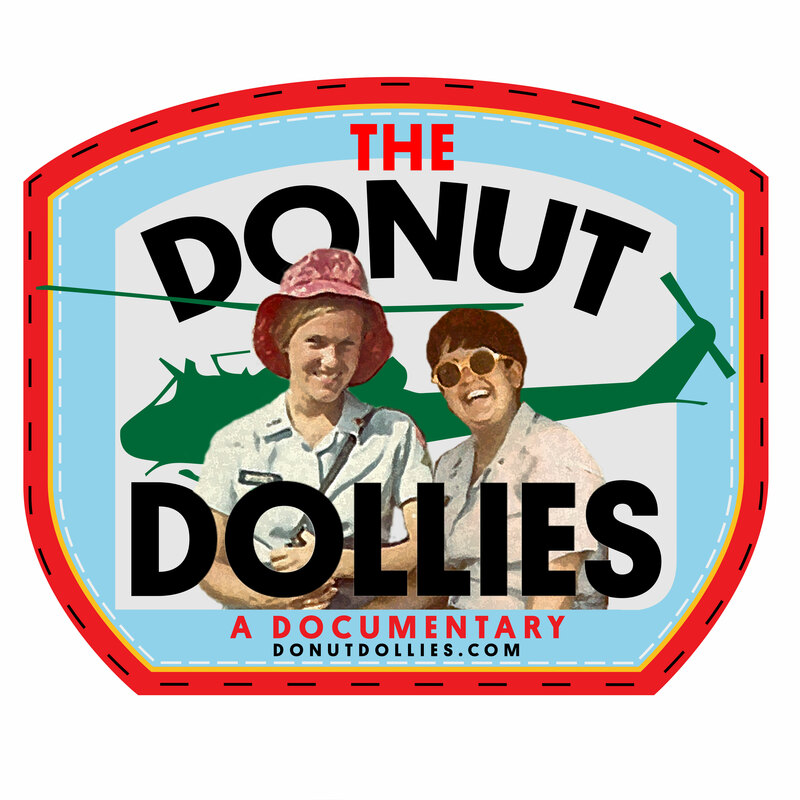 Happy Holidays and please enjoy our year end Donut Dollies Documentary update video and learn the latest news on our upcoming film. 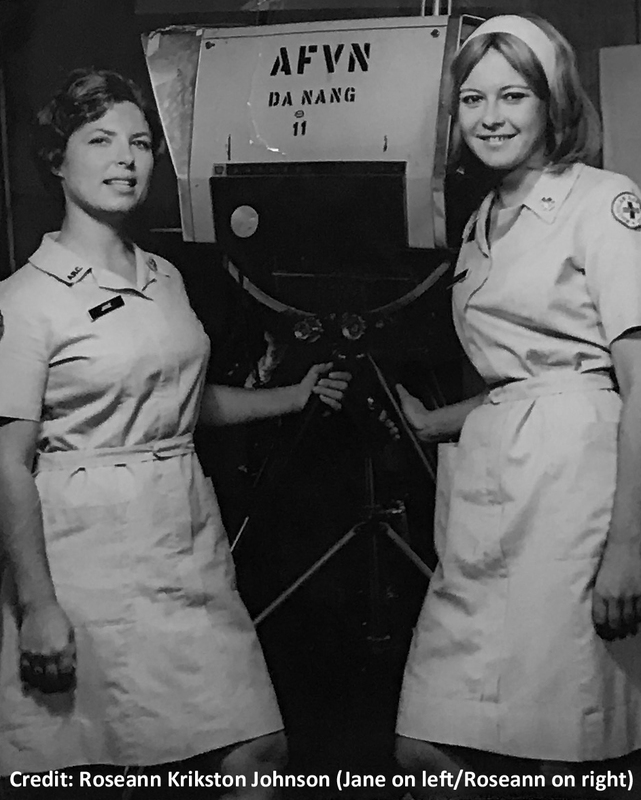 We send our grateful thank you’s to all of the Donut Dollies, veterans, our generous donors and to the friends, family and fans that make up the Donut Dollie community. Please share this video, like us on Facebook, visit DonutDollies.com and join us for an exciting 2018. 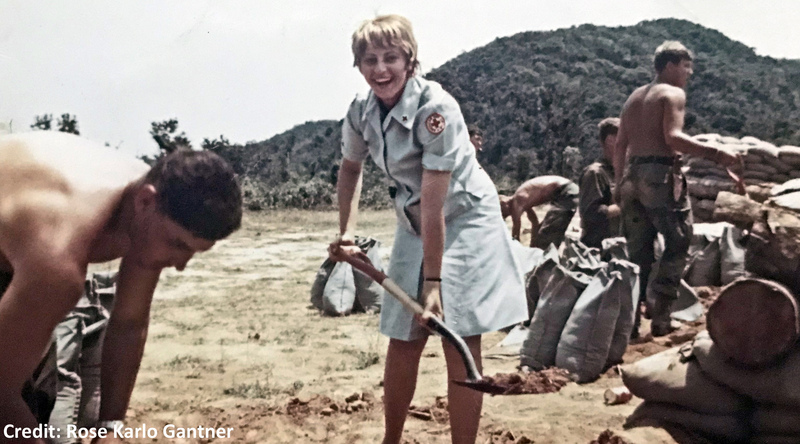 As 2017 draws to a close, we would like to thank the 35 Red Cross Donut Dollies who shared their stories of their service in Korea and Vietnam through our Donut Dollie Detail feature. For many, this was the first time that they shared the experiences that shaped the rest of their lives, and for a few, they shared deeply personal events that even those closest to them didn’t know. Susan Heinzelman Ladnier – Served in Korea and Vietnam from 1967-68 at Camp Humphries (Korea), Danang, Qui Nhon, Lai Khe and Pleiku. 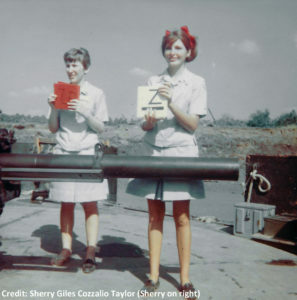 In our thirty first edition of the Donut Dollie Detail, Sara tells how the tumultuous 60’s prompted her to join the Donut Dollie program in the hope of making a difference, that she would get up at 5AM to chopper out to firebases to program to the soldiers, and that she has fond memories of the soldiers, her Donut Dollie sisters, and the children she visited at the orphanage in Danang. 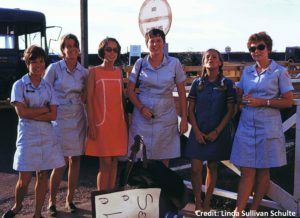 I graduated from college in 1970, having experienced the tumultuous 60’s, and thought I could make a difference. I was extremely idealistic and felt I could solve world problems. 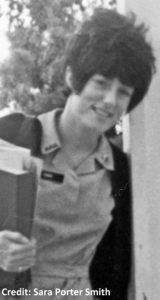 I was stationed at Tuy Hoa from August – November 1970, at Danang from December 1970 – April 1971 and at Phan Rang from May – December 1971. 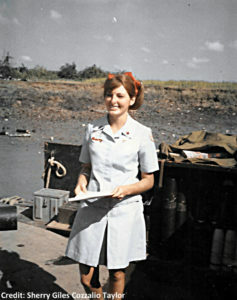 I was in Vietnam 15 months, which was just a little longer than the typical year most Donut Dollies were in Vietnam. I was fortunate to be stationed at both Clubmobile and Red Cross Recreation Center units, so the days varied. On Mobile Unit days, we got up around 4:30 a.m. or 5:00 a.m. in order to catch a chopper out to the forward area and firebases. On Center days, we got up a little later, but arrived at the Center early enough to open the facility and make coffee and lemonade for the troops. 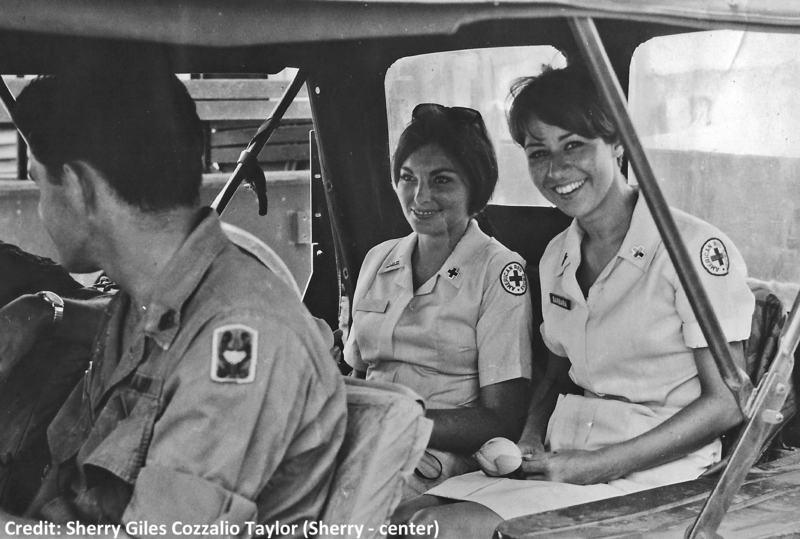 When in the field, we usually visited 4 – 6 forward areas or firebases in a day, staying an hour or so at each stop. 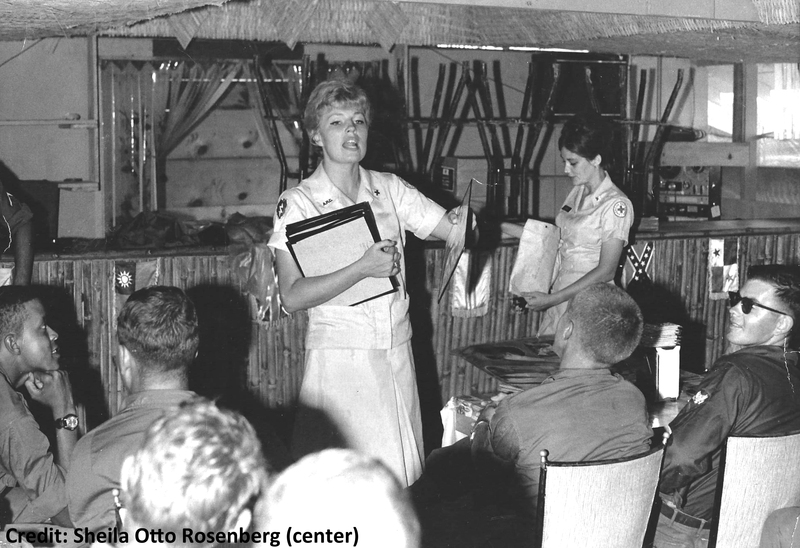 We presented a variety of theme-centered recreational games and quizzes with the purpose of providing a short diversion from the war. When at the Center, we created a monthly calendar of activities. These activities ranged from card games and tournaments, chess and other board games, pool tournaments, theatre productions, small libraries of books and a comfortable environment to kick-back and relax. 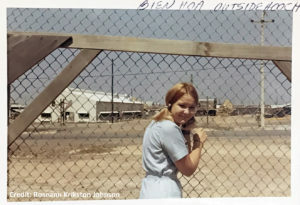 Twice: one time on a firebase when there was incoming fire and another time when the chopper I was in lost altitude too quickly. Fortunately the pilot recovered before a crash occurred. 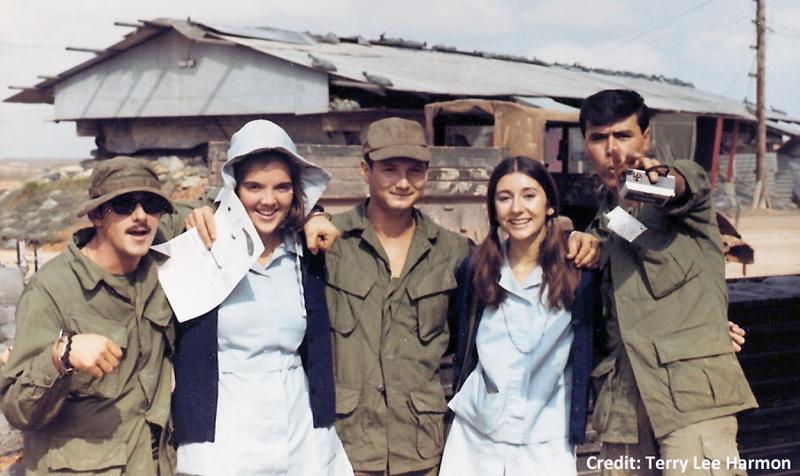 A mixture of emotions because we needed to be upbeat and positive and at the same time, be compassionate and sensitive to what each soldier was experiencing. Very difficult. 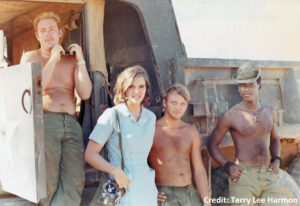 My friends and family had no true understanding of what went on in Vietnam and seemed more concerned about living day-to-day life. They did not ask in-depth questions, and I could not share anything other than general information. We truly cared. We were there to make a difference and to help the soldiers. 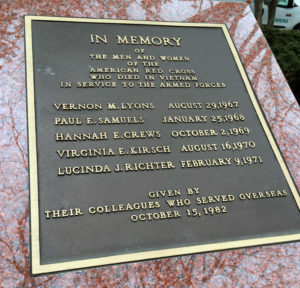 The first time I was acknowledged or thanked was at the dedication of the Vietnam Women’s Memorial in Washington, DC. I honestly was in shock and did not know what to say. The most important thing is the soldiers… many who made it home and many who did not. I remember many of their stories. Some really, really good things were the trips to orphanage in Danang. I loved it there and was able to help the children. 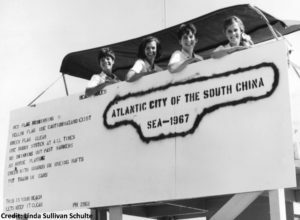 It was situated on the South China Sea… a contrast, so to speak: the most beautiful setting and the deepest of tragedies. I will always remember those little faces. 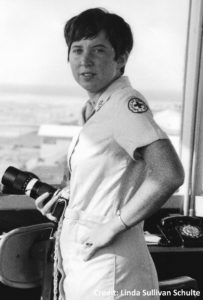 I remember many of the women in the Red Cross. I have not seen anyone since the dedication of the Vietnam Women’s Memorial in D.C. in 1993, but I think about these women more often than they will ever know. It was unique time in all of our lives. I was in the class that landed in country on Aug 4, 1970… same class as Ginny Kirsch. She was a sorority sister… she and I were very close. 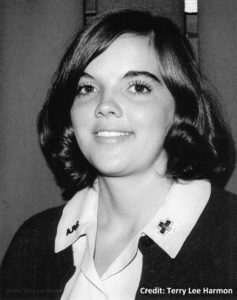 She graduated from Miami University in Oxford, OH; I grew up 25 minutes from there in Indiana and then attended and graduated from Indiana University. Both of us were Alpha Chi Omega’s in college… it created a bond. In our thirtieth edition of the Donut Dollie Detail, Roseann tells how a college course on the Vietnam “conflict” made her want to go to Vietnam to see what was happening for herself, that she experienced a night of incoming in Danang, and how seeing the smiling faces of young men on firebases made her job worthwhile. In my senior year of college a course was offered as “Independent Study”, the subject was our choice and I chose 1969, Vietnam “conflict”. I did mine on the history of Vietnam. I was stunned, moved and had a desire to see for myself. 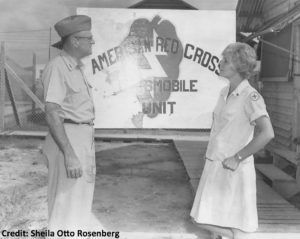 My oldest brother knew of a friend that had joined the Red Cross and volunteered. I did my homework and realized this is exactly what I wanted to do. Maybe gain some understanding and also maybe do something positive. I had just finished my student teaching (an eye opener) and decided an alternate course for at least a year. 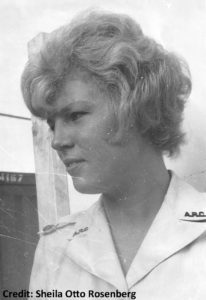 I was stationed in Danang from July to October, 1969 and then at Bien Hoa from October 1969 to July 1970. 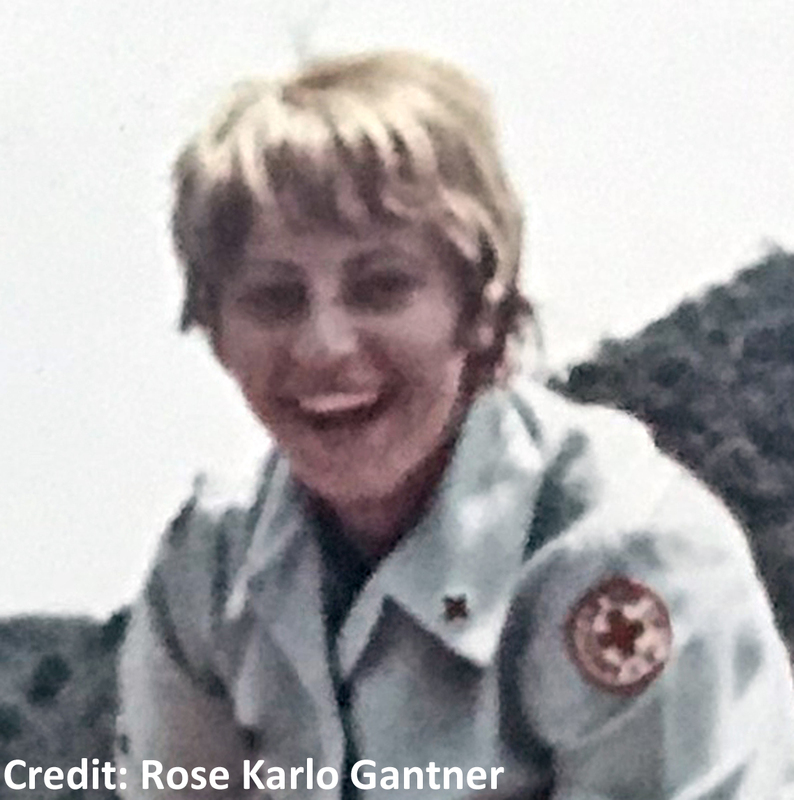 I was known as Roseann in Vietnam. A tough one, I’m not sure there ever was a “routine” day. Whether you were out in the field doing mobile programs or in the recreation center, there was never a day where the unexpected did not occur. Even in the recreation center, we had one young soldier who kept coming in day after day, and when I asked him, weren’t you scheduled for a freedom flight home, his answer was heart breaking. He was an only child of a single parent. 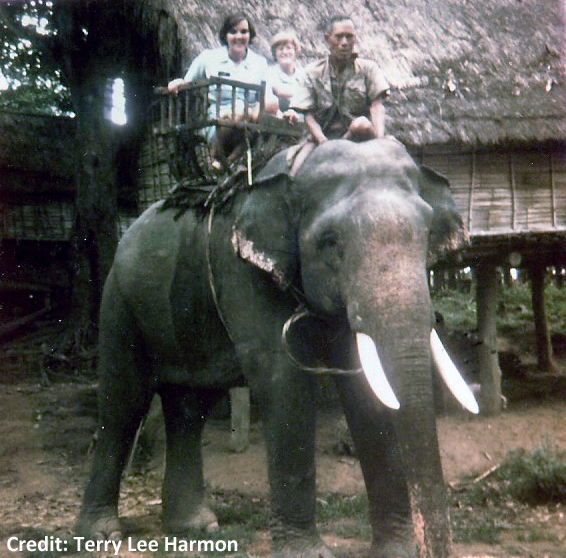 He had become addicted to drugs while in Vietnam and couldn’t bear his mother seeing him like this. No day was routine. I had a close call in Danang. Incoming, rocket fire during one night. Window glass shattered, diving under beds, and then hearing “to the bunker”. Being careful of broken glass. Scared and worried about our dog. MP’s brought her to us in the bunker. 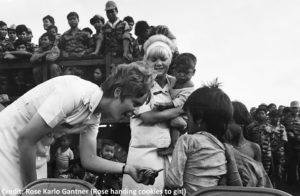 Visiting hospitals was very difficult, especially one incident while in Danang. We were in an outlying area (overnight) and got word that we were asked to visit a firebase the next day that wasn’t on the schedule. When we got there via chopper, we were instructed not to do any programs but to visit with the troops. We soon learned why it was to be a short visit. One young solider gave me a pair of binoculars and I got a glimpse of the North Vietnamese flag. We were very close to the DMZ. 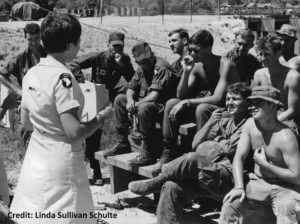 The next day we visited the hospital and many of the young men we saw and talked to the day before at the firebase had been hit later that same day and were now lying in the hospital. Transition… another toughie. I found it really hard to talk to others about what we did, how we did it, and what we saw and experienced. It sounded so superficial, mobile recreation programs, running rec centers. But no one saw the men’s faces when we got there or understand how crappy that “conflict” was, or how important it was for them to escape, if only for a short time from the grim reality of where they were and what they experienced and what was going on in the states. I so loved getting together with other Donut Dollies at the 2010 reunion. None of us volunteered for selfish reasons. We thought maybe we could make some sort of difference to defuse some of the negativity that was occurring in the states. These young men (average age 19) didn’t ask for this assignment and needed something positive, and if that meant from the Red Cross Donut Dollies, so be it. Many of the vets I have met never were in areas where we were present. However, by chance I have met a few who’s reaction was very positive. 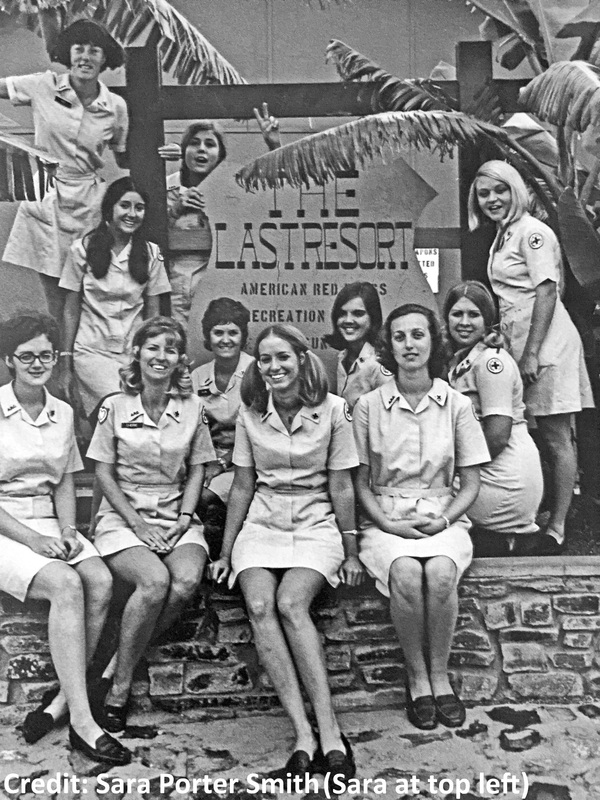 Our rec centers provided a little home away from home and they always loved talking to American females. First would be the faces of the young men participating in our mobile recreation programs. Once they knew we were there, the sense of escape from reality and total enjoyment was so evident, plus the competition! Seeing young men with poster board horses attached to strings trying to race them was a joy. Really don’t know who had more fun, them or us. Second was visiting the visiting the orphanage in Bien Hoa on our off days and bringing them any supplies we could. So bittersweet. Beautiful children, unfortunately discarded because many had American fathers. Biracial children were outcasts. Third, just being there when a young man needed someone to talk to, even for a short time. Some were close to rotating home and wanted to make sure they could talk to a young American female without cussing! Lastly, actually developing a few relationships with the Vietnamese women. 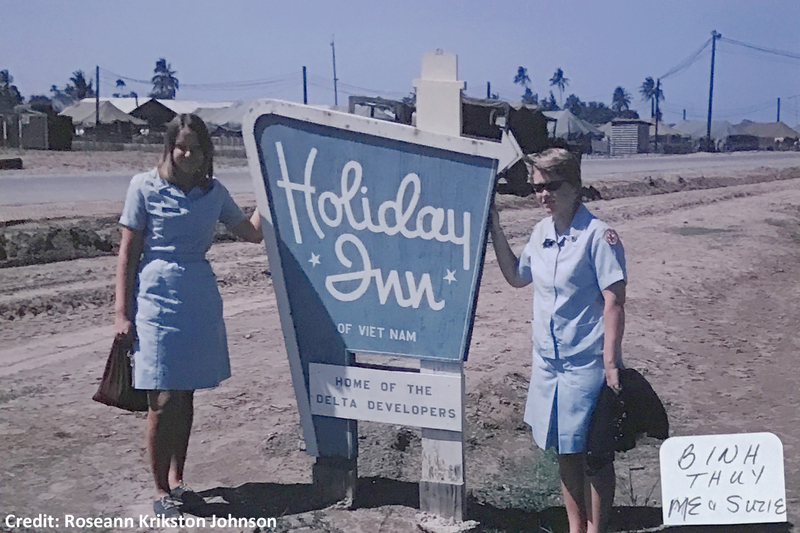 One especially was our mamasan in Bien Hoa. When I worked the rec center sometimes she would bring me lunch and the next time I would bring lunch to her. She wrote me a letter when she knew I was going home. I still have it. 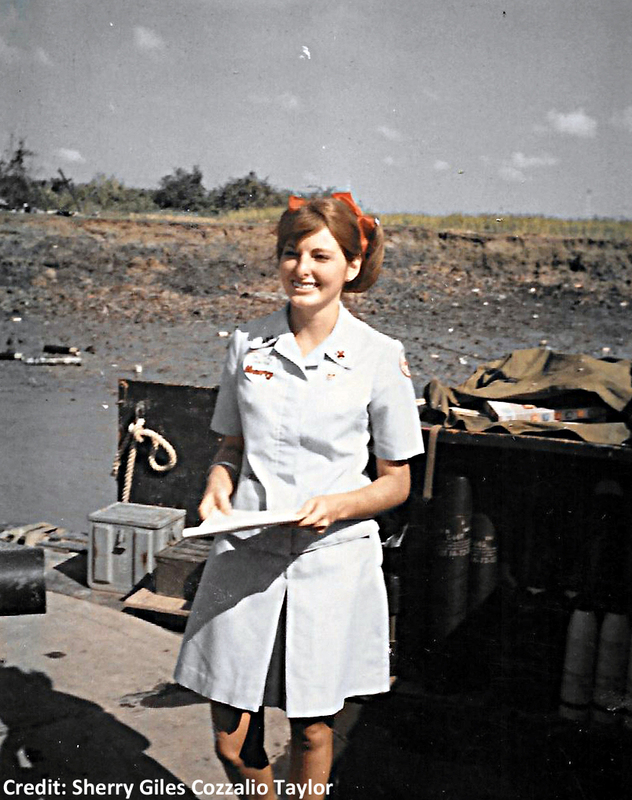 In our twenty ninth edition of the Donut Dollie Detail, Linda tells how hearing a presentation at her college by General Lewis Walt prompted her to join the Donut Dollies program, how she and a fellow Donut Dollie had been dropped off to program at a location where there were no soldiers and needed to be extracted quickly, and that she came home from Vietnam with a trunk load of memories, but didn’t open it for years. 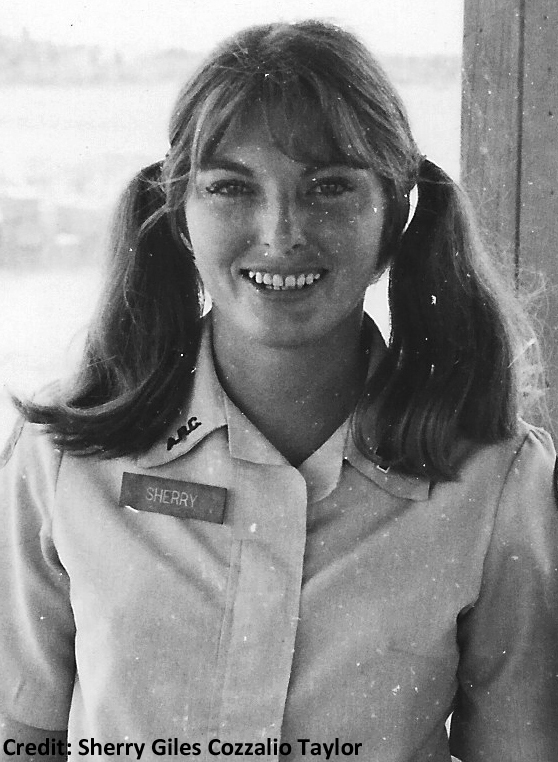 Throughout my college life I marched in anti war protests. In my senior year (1967-68) at Western Maryland College (now McDaniel), General Lewis Walt had just returned from Vietnam and came to speak to our students. He impressed me greatly with his articulate presentation, his concern and his integrity. 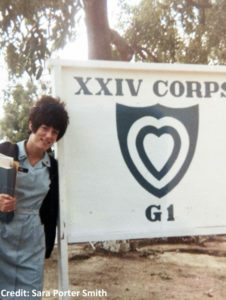 I decided I needed to go to Vietnam to learn more… we had a number of classmates serving there.. I wanted to see what Vietnam was really about. I wrote to a variety of nonprofits looking for an organization to send me there. The Red Cross interviewed me.. the job was for one year and they wanted women ages 21 to 25 with liberal arts degrees. I arrived in Vietnam in July of 1968… a month after graduation. 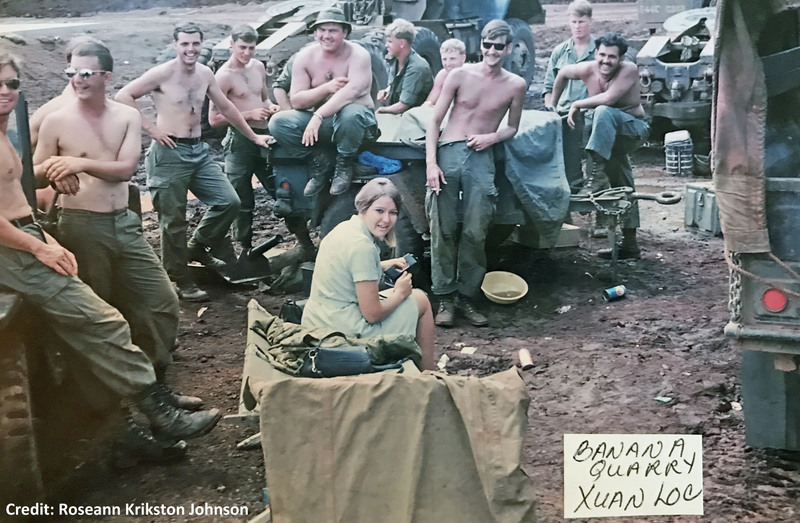 I was stationed in Lai Khe with the 1st Division… the Big Red One. In October I was transferred to Dong Ba Thin to close that unit and move it to a new Air Force Base at Tuy Hoa. Then in February or March, not sure exactly, I was sent up north to Phu Bai. 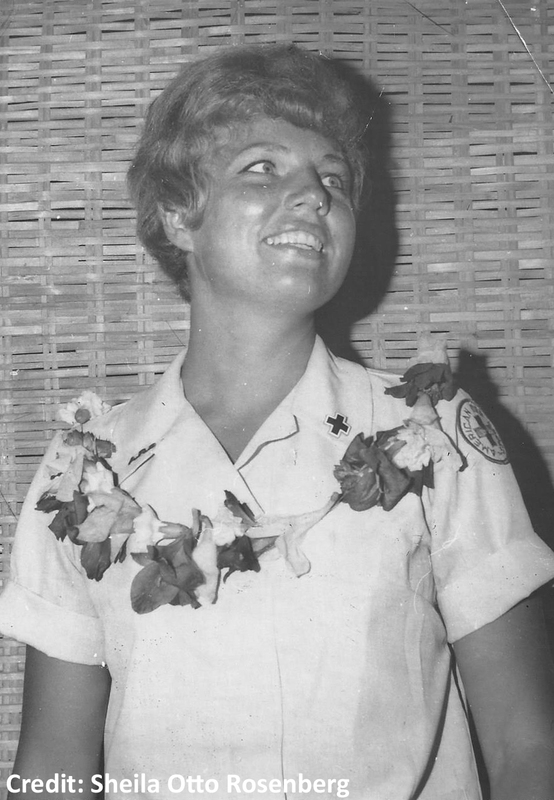 No nicknames in Vietnam, just Linda. 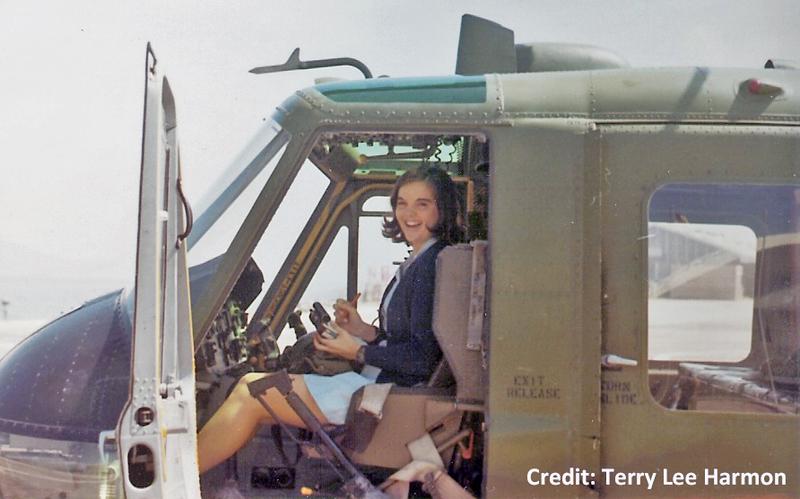 There were seldom any routine days, but I was mostly involved in clubmobile units traveling generally by helicopter out to different field units. We Donut Dollies averaged around 1,500 miles a week in our travels. I’m not sure of the origin of that figure, but it was in my journal. We would mainly program to troops, handout supplies and mail, etc. 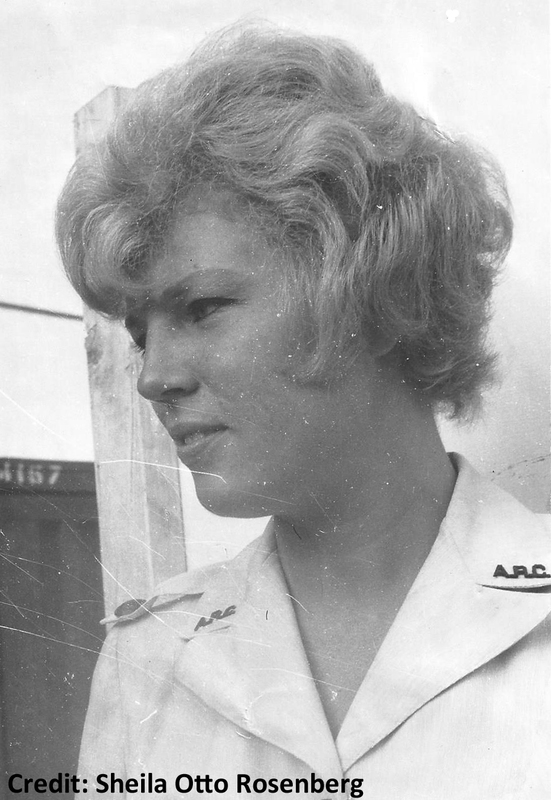 Donut Dollie Suzie and I got dropped off once at the Loch Ninh air strip through a mix up. There were no U.S. soldiers there… it was just us holding our program bag. Fortunately, General Talbott, Commanding General of the Big Red One, swooped down in his chopper and removed us quickly. We all had incidents like getting gassed, watching occasional rockets come into the base and sniper fire, but nothing serious, as the troops took care to protect us. We visited those who were truly injured in hospitals. It was always difficult, as many of those visited were just a few years younger than us. The transition home was easy. I got home with a trunk loaded with Vietnam memories and vowed to not open it for a while. I went to the Baltimore Red Cross to thank them for allowing me to be a part of SRAO and was offered a job. I started it a week or so later. I didn’t open that trunk for years, which allowed me to spoon out those memories in select doses… and manage the emotions that way. I joined Ron Kovic in DC protesting the poor care Vietnam vets were receiving from the VA.
I’d hope that people remember all of the women who served in Vietnam, but also remember that it took decades for those Vietnam vets to get welcomed home.. and some have never been. My best memories are all about the people there, as well as the Donut Dollies that I am still fortunate to call friends.